CLASSIFICATION : Verdicchio di Matelica Riserva D.O.C.G. VINIFICATION PROCESS : Hand picking of the grapes, which had been left on the vine an extra two weeks until slightly over-ripe; they were immediately lightly pressed, with no use of SO2, followed by 20-day fermentation at 20°C in stainless steel. The wine rested on the fine less until spring and underwent natural malolactic fermentation in early summer. MATURATION : Eighteen months in steel and six in glass, then officially released December 1, two years from harvest, in accord with regulations. 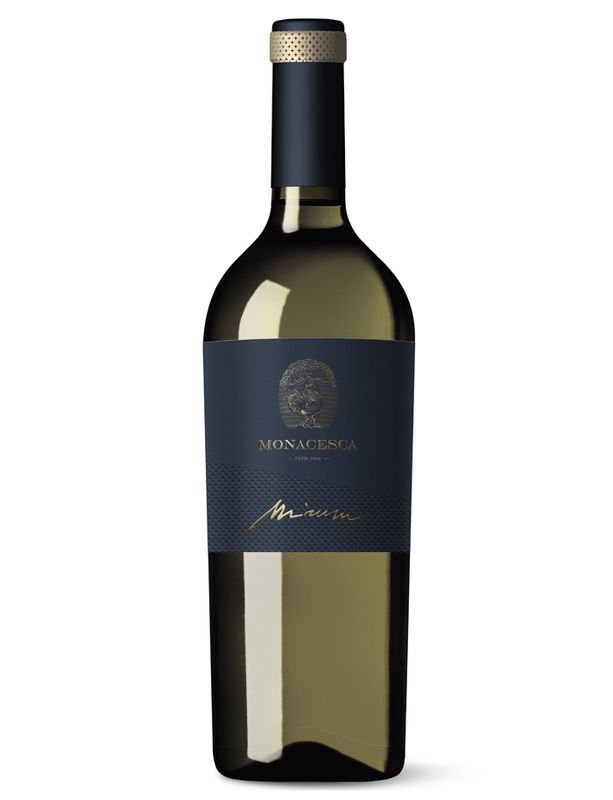 SENSORY PROFILE : A wine of great distinction, produced only in the finest years; the slightly over-ripe verdicchio grapes are its remarkable resource. Combined with a lengthy maturation, these grapes yield a remarkably aromatic nose, which releases intense scents of toasted almonds, citrus, honey, and crusted bread; with cellaring, the bouquet will develop still greater complexity. On the palate, it immediately expands to astounding richness and suppleness, balanced, rich, and seemingly endless. It is ideal with non-aged cheeses, cured-meat antipasti, and sauced poultry and veal.